LOS ANGELES and SARASOTA, Fla., Nov. 8, 2018 /PRNewswire/ -- sonnen, the global market leader in smart residential energy storage, has partnered with Pearl Homes, the U.S. leader in LEED residential development, to bring the vision of solar + storage, home automation and homebuilding to life, resulting in a 'Net-Zero-Plus and Climate-Positive' community. 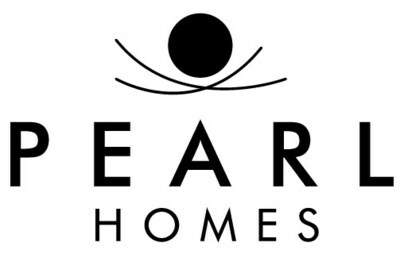 The network of homes, dubbed 'Hunters Point — Pearl Homes Community and Marina,' is the first community implemented by the sonnen-Pearl Homes partnership, one designed to help decarbonize Manatee County and surrounding regions of Florida by making green living affordable to a broader market. "For years, energy experts have sought an answer to the solar conundrum: how to generate and store enough solar for our homes," said Marshall Gobuty, President of Sarasota, FL-based Pearl Homes. "sonnen's technology in combination with our LEED Platinum home design has changed the equation for the ability to truly optimize smart homes using solar plus storage to the point where we are capable of building sustainable communities that share solar and decarbonize the region, one Pearl Home at a time." The U.S. Green Building Council (USGBC) has recognized Pearl Homes as a visionary leader for the company's focus on building disruptive innovation and creating a future model for LEED-certified, Net-Zero energy homes. 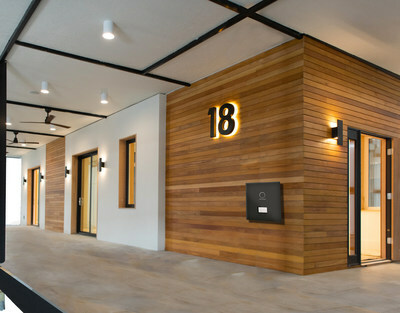 With a focus on environmental and sustainable building and a goal to attain climate-positive buildings and homes that reduce carbon dioxide emissions, Pearl Homes President Marshall Gobuty and sonnen Senior Vice President Blake Richetta will speak at the 2018 Greenbuild International Conference and Expo taking place November 14-16. "'Pearl Homes' vision of increasing access to sustainable homes is directly aligned with USGBC's vision to achieve green buildings for all within a generation," said Mahesh Ramanujam, president and CEO, USGBC. "Pearl Homes uses a streamlined process to achieve the highest levels of sustainability and occupant health. With the addition of sonnen's intelligent clean energy management technology, the development of this community brings the potential for energy-positive living to the mainstream. Pearl Homes and sonnen understand the value of LEED and have exemplified extraordinary leadership in reshaping their sector. This community will serve as a model for others to follow for decades to come." Marshall Gobuty founded Pearl Homes in 2015, when he broke ground on the award-winning Mirabella, a 55+ community of 158 LEED Platinum certified homes in Bradenton, FL. The development was one of the first in the U.S. to achieve LEED certification on a production scale, lowering the cost of Mirabella's single- family homes to within 5 percent of a conventional new home. The breakthrough earned Mirabella the USGBC's 2016 and 2017 Builder of the Year Award. Mirabella also earned the 2018 55Places.com's Most Innovative Communities Award; the National Association of Homebuilders (NAHB) award for Best 55+ Active Adult Communities of 2016; the 2017 Manatee-Sarasota Building Industry Association Parade of Homes Green Award for Eco-Conscious Design; and the 2016 & 2017 Southeast Building Conference (SEBC) Aurora Awards for Energy-Efficient Design, Water-Wise Home, and Green Construction. To schedule an appointment to tour the NetZero Pearl Home demonstration house, please contact Monique Viehman at [email protected].